We can save you money, allow you to be independent of water restrictions and supply you with clean natural water without additives! 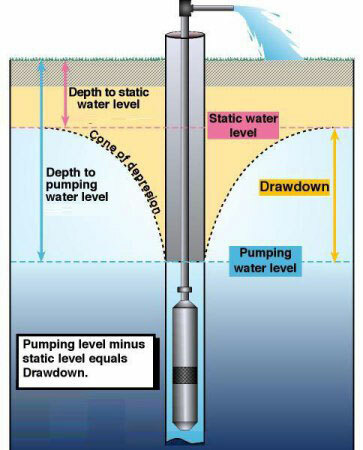 As a company we have a great deal of experience of drilling water wells for water supply. Q. How much would my waterwell cost? A. In the first instance contact us for a free, no obligation quotation or simply a chat. The cost depends largely on the geology beneath the property and the depth to the water aquifer. Q. Do I need a licence for my well? A. This would depend on the depth of the well, we would discuss this with you before commencing the work but usually between 2 and 10 days. Q. Will the well ever dry up? A. We drill to a depth below the water table which allows for seasonal fluctuations and drought periods, there would have to be no rain for several years to affect a deep borehole. Q. What type of equipment will be used? A. This would depend on the type and depth of the well required and your geological location, we have a range of equipment and plant and will use the most appropriate with suitable capabilities for your well. "If you pay more than £1000 a year for water - we can save you money"
Copyright © 2019 AquaDrill. All Rights Reserved | Cookies.